00:00 Well, that was fun. 00:03 Hello and welcome to Process again. My name is Justin DiRose, owner of the Productivity Guild, and I wanted to start off today by thanking you for all the support that we received in our launch for episode one. Before we dive into today’s topic, which is the definition of productivity, let’s do some quick hits. Quick hits will be a segment where we’ll talk very quickly about some news and items that you need to know in the productivity space. First up today, Drafts 5.6. Our beloved Drafts application for iOS just received a 5.6 version which focused on improving workspaces. Workspaces can now load specific action groups and then set the list tab as well, such as Inbox, Flagged, or Archive can be really helpful if you’re starting to use Drafts for notes or other text documents and having them live there longer like I am. 00:52 Next, we’ve got Launch Center 3.0. This is a little bit of an older news item, but this is a brand new release of one of the early iOS automation apps. Launch Center Pro was one of the very first out there and a notable feature from this release is the ability to run actions from NFC tags if the phone is placed near them. This feature is only available for iPhone X and iPhone XS because they have NFC readers in them, but if you’re in locations where you walk by a place and you need to trigger an automation, say when you’re walking in your front door, this could be a really cool way to do that. Next up, OmniFocus 3.2 on the Mac. Finally, we have custom notifications on the Mac version. If you weren’t aware of this already, you can now set notifications for tasks on the Mac version of Omni focus either based upon due date or anytime you choose. 01:40 This is very helpful for those non-due, but important to do tasks such as taking out the trash. I know I have a due date set on that item in my OmniFocus, but I think going forward I’m going to switch it over to just a simple notification because it’s not technically due. It just helps us keep our systems a little bit cleaner and a little bit more clear. This feature was in iOS upon the 3.0 release, and it’s taken a little while to get it into OmniFocus for the Mac, but it’s very welcome. 02:07 Lastly, ProdCon 2019. If you haven’t heard Francesco D’Alessio of Keep Productive, had an online conference on January 25th called ProdCon. I was grateful to be one of the speakers at that conference along with others like Mike Vardy, Mike Schmitz, and Carl Pullein. While you needed to sign up to see the videos for this conference within seven days of launch, by the time this podcast goes live, Francesco should have a link available for those videos on Youtube. I’ll be sure to add it to the show notes as soon as I have it available. 02:36 Let’s get to today’s topic. What is productivity? Productivity by definition in the dictionary is the effectiveness of productive effort, especially in industry as measured in terms of the rate of output per unit of input. Peter Drucker, the famous management and business writer from the mid-twentieth century, also defined productivity as the balance between all factors of production that will give greatest output for the smallest effort. When we look through history, we can see this progression of what productivity means. When we look at the beginning of the 1900s, around the boom of the industrial age and the assembly line systems became essential for businesses to function. Ford invented the assembly line, and then Toyota took that and put the Lean process on top of it so that things could get more efficient and faster. 03:25 Then there was this shift midcentury where business productivity shifted from units of output to deliverables, so instead of, “Hey, I’m making these tables”, or “I’m making these cars,” now it’s I’m submitting this report, I’m sending this letter. I am giving this presentation to this group of people. It became about delivering information to people. With the advent of the information age, the Internet, and so many individuals now being either remote workers or self employed and solopreneurs, the lines of what productivity means has been blurred. Let’s think about that for a second. We are taking the definitions of productivity that applied to the industrial age and are now trying to apply them in the age where self employment and remote work is so prevalent. The requirements are totally different here. While there’s always a need for efficiency and trying to optimize processes, we do run the risk of going into a mindset of just work harder, hustle, do more as efficiently as you can, and I think while that approach can work sometimes in big business, it’s not always the most effective for individuals. 04:27 I do think this mindset of hustling comes from a desire for success that each and every single one of us has. So let’s take a second to reflect here. Who’s defining your success? Are you or is somebody else? Is somebody else’s definition of success driving you? Frankly, personal productivity is just that. It’s personal, so in order to gauge it, you need to define what success looks like for you. Success usually doesn’t look like having $20,000,000 in the bank, a Tesla roadster, and a thriving business, though it can. But when we look at success in only the financial aspect of it, we’re only seeing one facet of life. I think it’s safe to assume that we all know that money on its own will never satisfy, so we can’t judge success by how successful our business is financially or how well known we are. Ultimately, I think it’s a sense of purpose though, that we’re all. 05:14 After Victor Frankl was a psychologist and was also a Jew who was imprisoned in concentration camps during World War Two. Now I’m not going to get into his whole story here, but he did conduct some psychological experiments with people who are dealing with depression and when he gave them a defined purpose for themselves, the patient’s demeanors improved significantly. I really feel like when we’re looking at our own definitions of success, it’s important to keep in mind that success is about purpose. Where are we finding our purpose in life and if we’re connecting with that, then we’re being successful and that purpose is more than just single focused and single faceted. Life is very multifaceted and so we have to take that into consideration. When looking at my productivity systems, I’ve expected them to help me do more, and frankly that’s what productivity thought leaders have taught me over the years. To try to do twice the work in half the time or they’ve given me five steps to gain a day of my week back. 06:11 Now, how many times has that actually worked? I can’t think of one. I can think of instances where small efficiencies have helped me feel more comfortable with doing my work, but it’s definitely not all about cranking more out in a day. There is a place for that type of efficiency, but not all of life is about efficiency. In fact, most of life is about relationship. 06:30 Often the biggest regret people have at the end of their lives is not investing more in their relationships that meant most to them. So when we define success for our productivity purposes, don’t forget to look at the bigger picture. With the definition of success in hand, then it’s really simple to start looking at how effective you can be. Success for me is ultimately about the person I want to become, and the most important goals, projects, and tasks I take on should stem from that. 06:54 With all this being said, I feel like we’re at a stage where personal productivity is evolving with the changes in how the world works. Personal productivity can no longer just be about efficiency or even just effectiveness. If you juggle a full time job, a family owning a house, which is a quite a big responsibility, and a side gig or two, I’m sure you understand that there are a lot of moving pieces in life, you have to keep track of. I really think that the next phase of personal productivity is really more of a focus on life management: being effective, but also being able to juggle all the pieces that we have because we have more things that we’re juggling all of the time. We need to figure out what responsibilities to keep in our lives or how do we manage the responsibilities that we have to move toward our goals and dreams. 07:39 Probably the most important thing that we need to manage in our lives is to find a balance and a rhythm, not just with work and rest, but how we find balance with our technology that’s so pervasive in our lives as well. These are all important questions I think our generation at this time when we’re looking at productivity and personal productivity at that are going to need to answer. 07:58 I know this episode got a little heady, but the truth is personal productivity at its root comes from your definition of success. When you have success defined for yourself, figuring out if you’re being productive or not becomes all that much more easier. So the takeaway from this episode, I recommend if you have some time, sit down, define what success looks like for yourself. Who do you want to become? That’s probably the most important question because you will be able to go places when you have a sense of who you are, but when you’re trying to do things just because you think they’re good or you’re telling yourself you should, that’s not very sustainable. But if something comes from a place of, “This is who I am”, that’s way more sustainable longterm because you’ve now believed that who you are and therefore actions flow from that place. 08:42 Then once you have this vision of who you want to become, what success looks like, then start looking at your goals, your vision for your life and your productivity system and ask yourself how those can play into your picture of success. If a system isn’t helping you get there or if a goal isn’t aligned with that, sure some of those items may be important to have in your life as it is, but you may want to evaluate if that thing should stay, or if it should be delegated to somebody else, or if it should just be flat out eliminated. Ultimately, this isn’t just about how your life looks externally. It’s all about the person you want to become inside, and our personal productivity systems can help us get there. 09:18 Well, that’s all for this time. 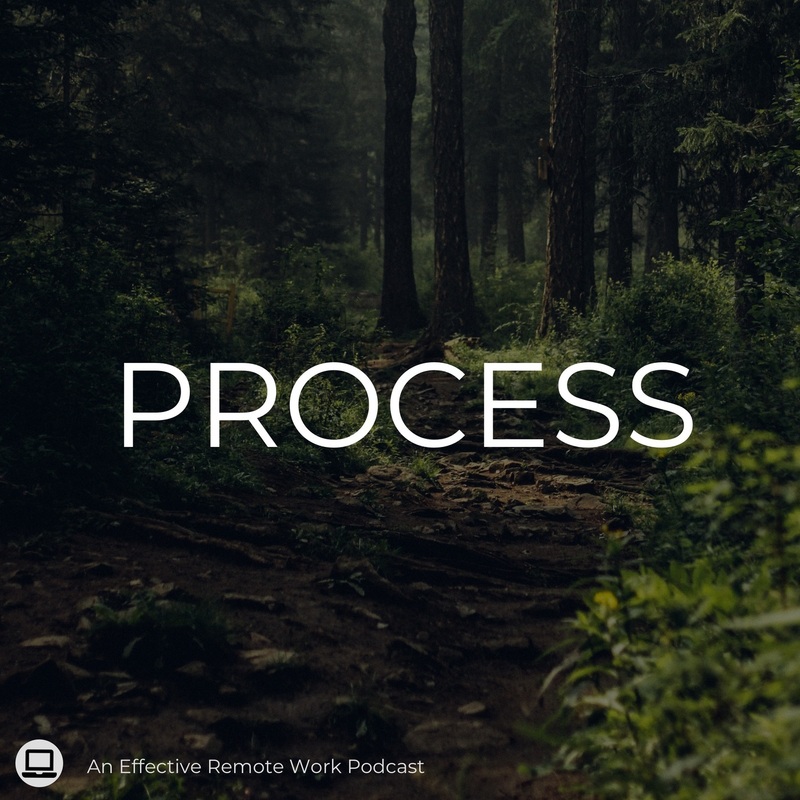 If you want to join in on the discussion for this episode or you want to connect with others who are in the process of becoming better on their productivity journey, head over to the Productivity Guild at https://productivityguild.com. Or if you want to support this podcast and get access to video modules, productivity courses, and more consider signing up for a Pro membership at the Productivity Guild for just $10 a month. Lastly, if you liked this show, rate us on iTunes or recommend us in Overcast. I’m Justin DiRose, and join me next time on Process. Thanks again for a good and thoughtful piece. Great connection there! This is exactly the idea I was trying to convey. You can measure all you want but for what? That’s the big question to answer. I’m going to be interested in seeing what productivity will look like in ten years. The definition evolves with society as we move from an Industrial Revolution manufacturing model to the information knowledge worker model and to who knows what will be the next model. I’m also challenged with what productivity means to me now. What was once productive when i was a teenager is no longer the working model it is now that I move on into a different season of my life.